My analysis began with a look back at the work I’ve done in recent years, which includes consulting projects and relationships with Fortune 500 corporations, e-commerce startups, government agencies, foundations, universities, libraries, and publishers. In this retrospective, I focused on what’s timeless and what’s changing in the work that I do. First, classic information architecture (IA) remains central to my work. Demand for the structural design of websites, intranets, and interactive services continues to grow, driven by the challenge of creating search and navigation systems (and the underlying taxonomies and metadata schema) that enable users to complete tasks and find what they need. However, the context in which I practice has changed dramatically. The dance between Google and search engine optimization (SEO) has shifted attention from “home pages” to the design of findable, social objects that serve as both destination and gateway. The rise of user-generated content has invited the marriage of architectures and algorithms in support of conversation and collaboration. And, the growth of mobile has us thinking hard about Responsive Web Design and Ubiquitous Service Design in a world of cross-channel user experience. As an information architect, I’m finding this complexity of context creates opportunities beyond the borders of information architecture. Increasingly, I’m asked by my clients to formulate a “web strategy” that explains relationships between their sites and social media channels, and these conversations naturally lead towards development of full-blown strategies for mobile and multi-channel user experience as well. This strategy lays the foundation for a “road map” that describes roles, responsibilities, requirements, and the sequencing of activities. At this point, I help my clients to identify skillsets and specialists to fill gaps in such areas as governance, content strategy, and technology integration. The ensuing collaborations are often tremendously productive and fun. After reflecting upon the evolving content and context of my work, I turned from what I do to why. An obvious answer is that I’m paid well to work with smart people on interesting, important projects, and in this I recognize that I’m very fortunate. But what about my value to my clients and end-users and my desire to make the world/web a better place? I’ve always been proud of my work for the National Cancer Institute. We redesigned the site in 2003 under serious time pressure, and it went on to win awards and rise to the top of the E-Government Satisfaction Index. And today, 8 years later, while the design and content have changed, the information architecture remains the same. I’m not sure that’s entirely good, but it is validating to have had a lasting impact. Of course, not all projects carry such moral weight, and yet there are always opportunities to teach and inspire clients, and to help users by designing for better usability, findability, and accessibility. And, I’m also exploring ways to design for learning, literacy, and understanding. It’s rewarding to bring not only our value but our values into our work. I think my answer to the first is Yes. After nearly two decades of consulting, I’m able to identify the right fit for an organization. Experience improves my ability to know what will and won’t work. Plus, my credibility and confidence help sell solutions to difficult audiences. I know my answer to the second is No. Looking backward has convinced me to be an information architect moving forward. Given my love of strategy, design, and systems thinking, it’s the perfect vocation. However, this raises a new question. How do I explain my role as an “information architect” when the context keeps changing? Let me first note that I don’t care about job titles. In my mind, everyone is an information architect, at least some of the time. For instance, it’s often the crazy entrepreneur or the executive with a vision who sees how to unify multiple platforms into a new cross-channel experience. I’m an information architect. I map paths and places across physical, digital, and cognitive spaces. Of course, this is a bit abstract for an elevator pitch, but it helps me think more creatively and expansively about how I can help my clients. Similarly, I often find it useful to assume the mantle of a bridge builder. Users and Content. We design search and navigation systems that connect users with the content and services they need. Strategy and Tactics. We translate abstract visions into well-grounded, actionable blueprints for design and implementation. Units and Disciplines. We facilitate cross-functional collaboration using boundary objects (e.g., wireframes) to start conversations. Platforms and Channels. We sketch maps for new services and experiences that span multiple platforms, channels, and media. Research and Practice. We use the scientific method, heuristics, analytics, user research, and ethnography to inform our designs. As you can see, I enjoy these exercises in framing, which is good because defining the damn thing is central to what we do. And, the task only grows harder as tech spins faster, which is precisely why I believe that there has never been a better time to be an information architect. What is Cross-Channel? Article by Andrea Resmini. Cross-Channel Strategy Article by Peter Morville. Architectures Article by Jorge Arango. Links, Maps, and Habitats Article by Andrew Hinton. We Are All Leonardo Now Presentation by Christian Crumlish. Ubiquitous Information Architecture Presentation by Peter Morville. Beyond the Polar Bear Article by Mike Atherton. 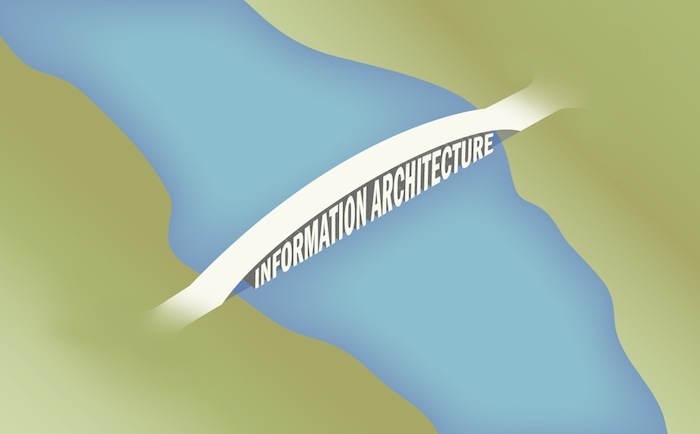 Information Architects Article by Martin Belam. Creating Cross-Channel Experiences Presentation by Samantha Starmer. The Cross-Channel Experience Presentation by Nick Finck. Citizen-Centric Design Presentation by Jess McMullin. Mapping the Unknown Presentation by Dan Willis. Journal of Information Architecture Peer-Reviewed Scholarly Journal. Information Architecture Institute Join. Participate. Lead. Information Architecture Summit March 2012 in New Orleans.